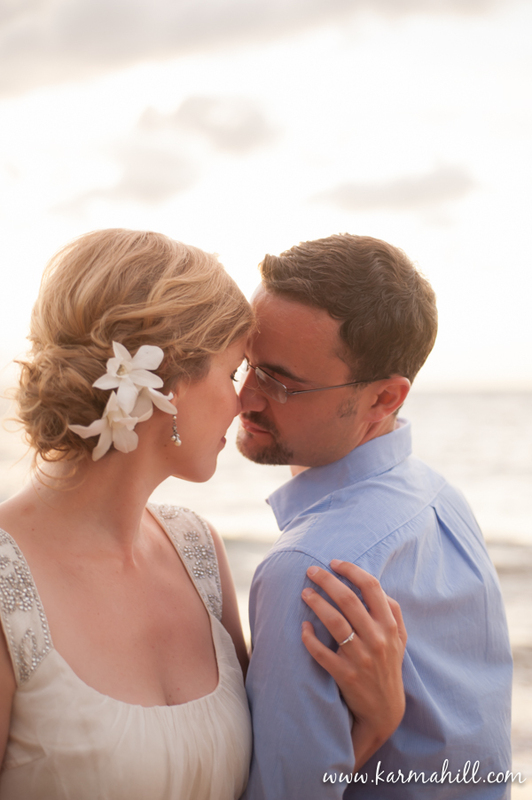 Simon and Verena live far far away in Germany!! 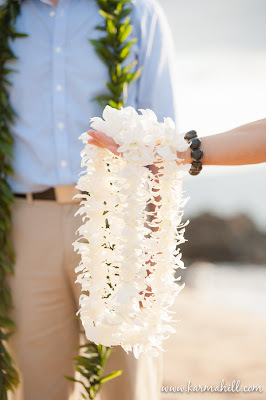 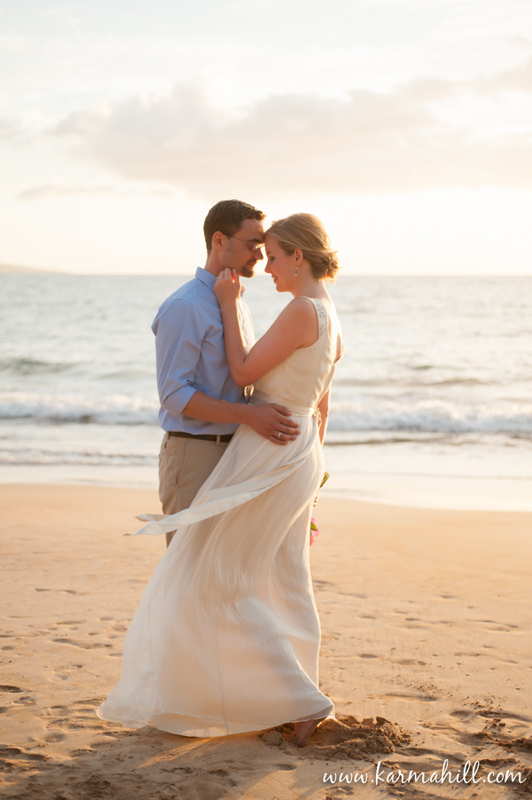 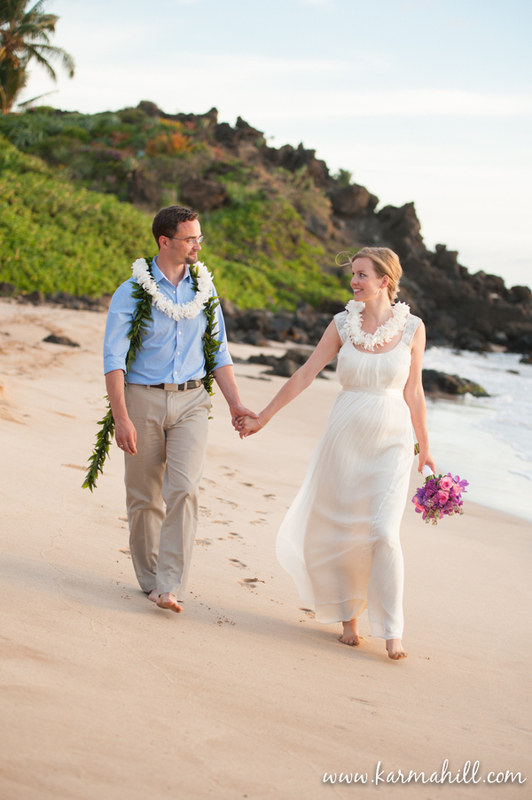 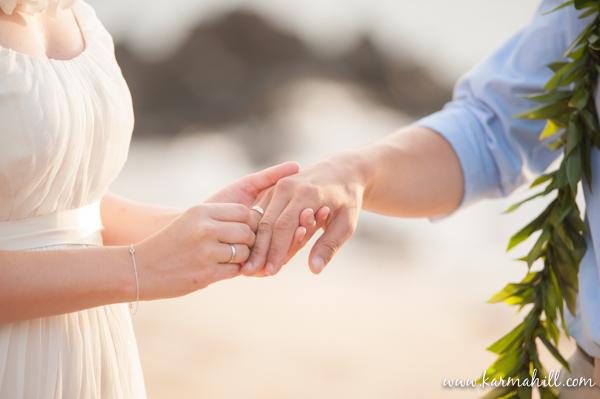 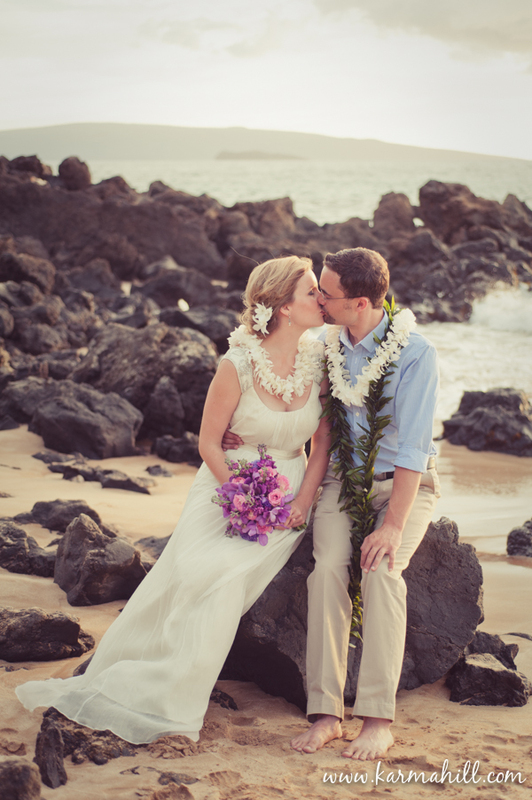 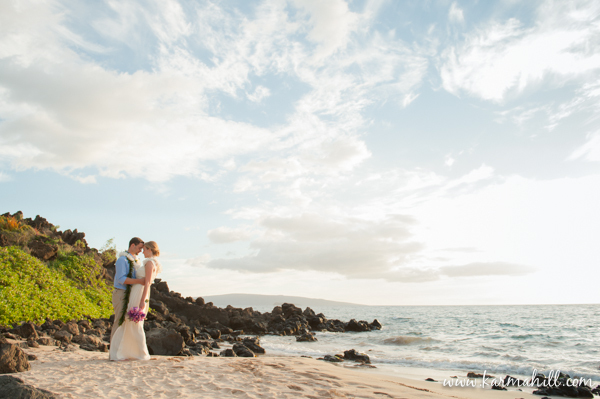 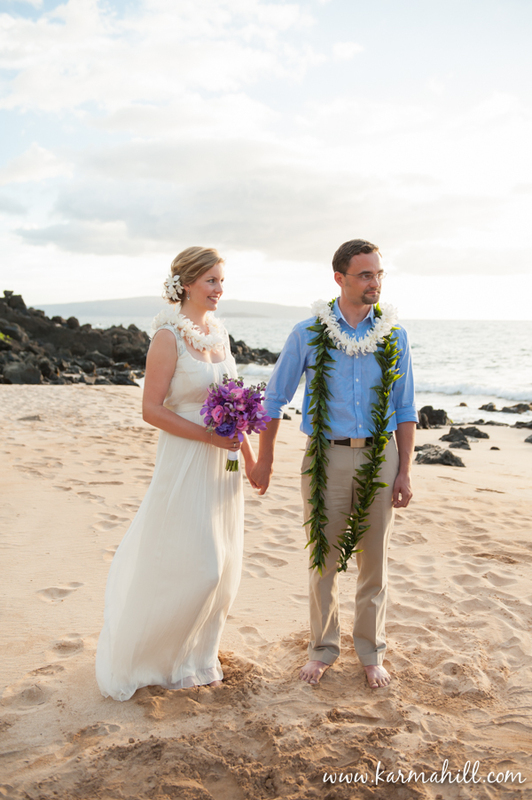 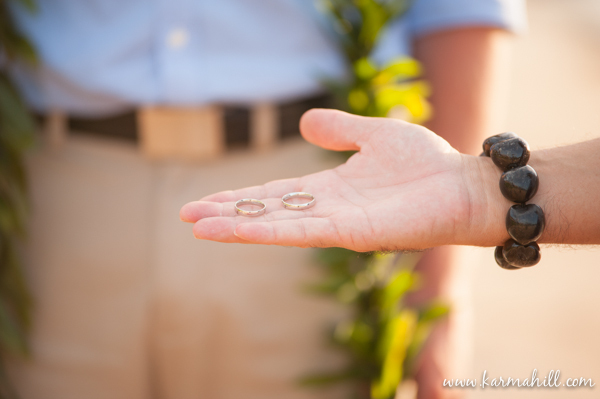 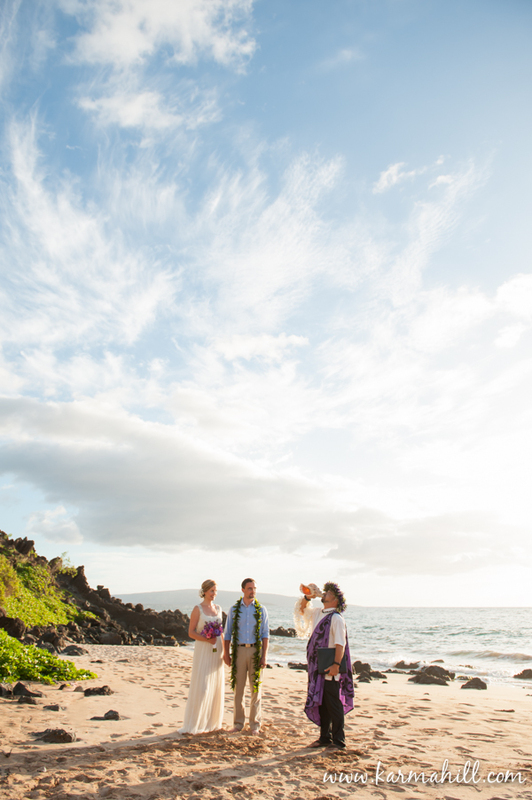 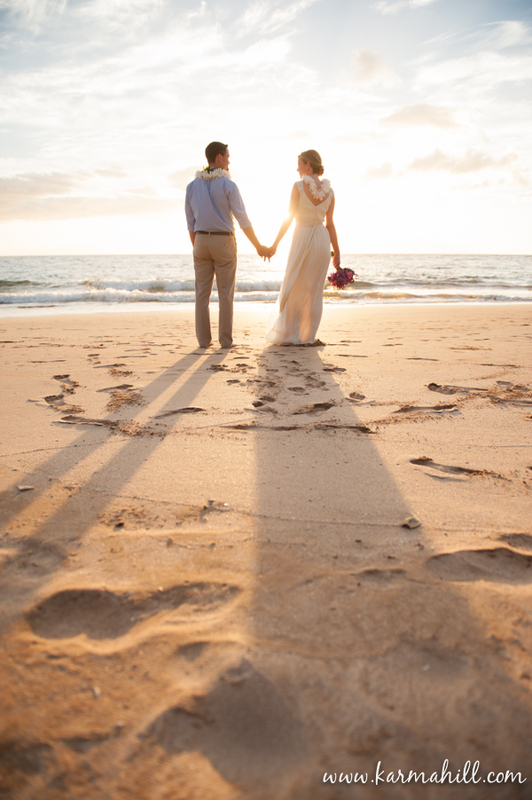 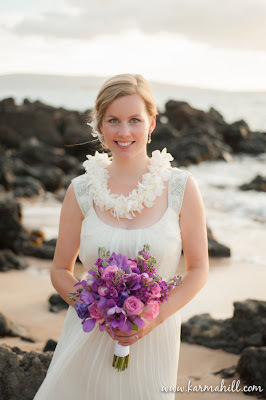 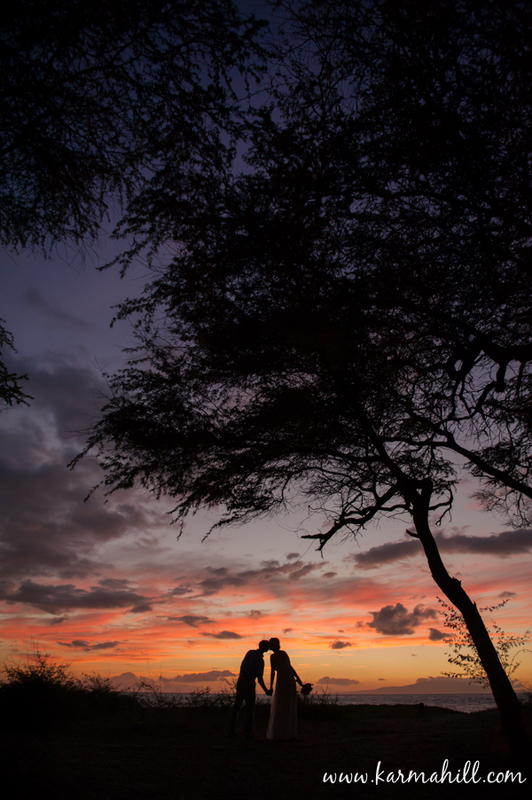 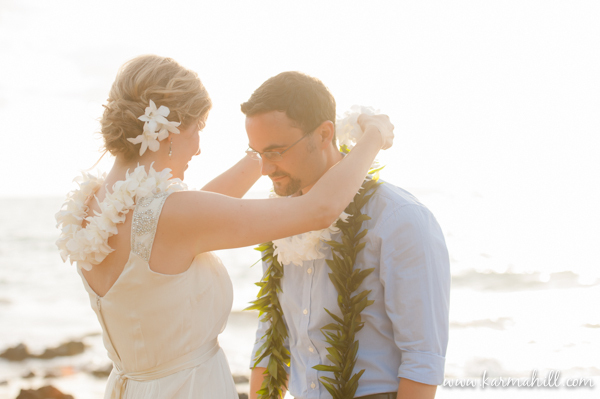 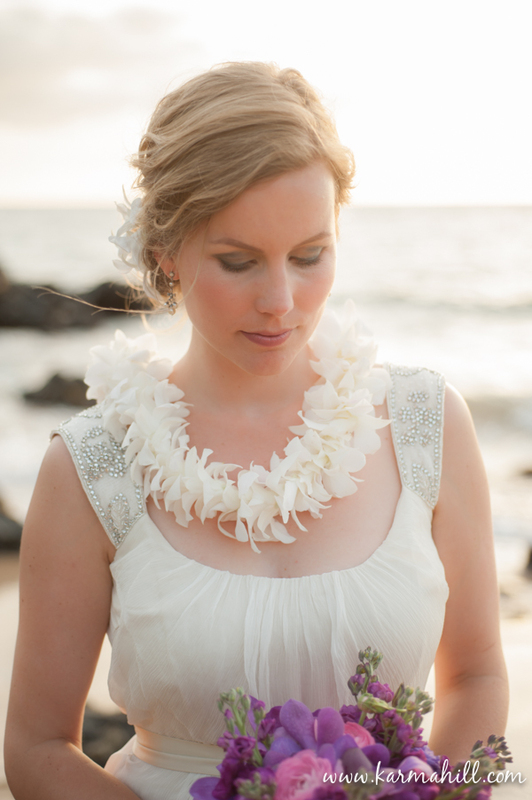 They travelled to the tropical shores of Maui to tie the knot in a private elopement. 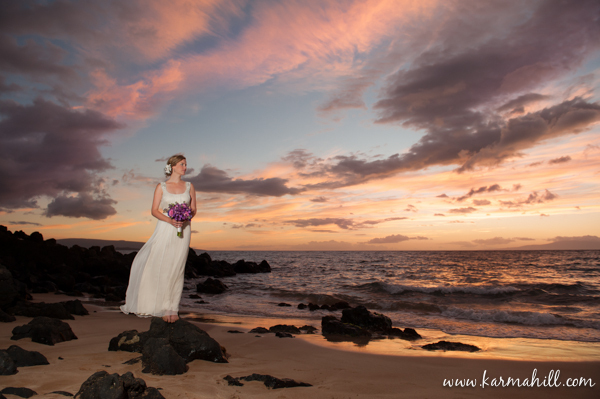 It could not have been a more beautiful evening with soft light and a magical sunset. 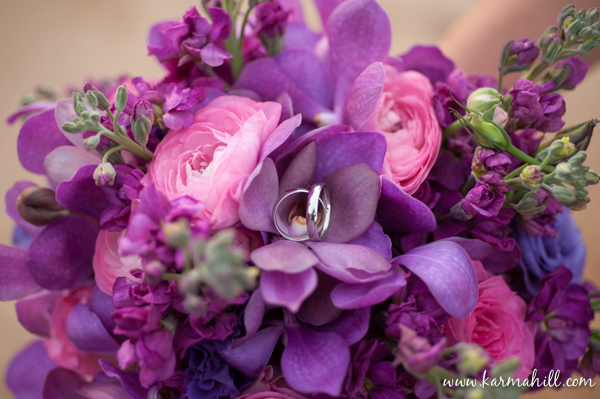 We absolutely loved Verena's purple bouquet, crafted by the artists at Dellables. 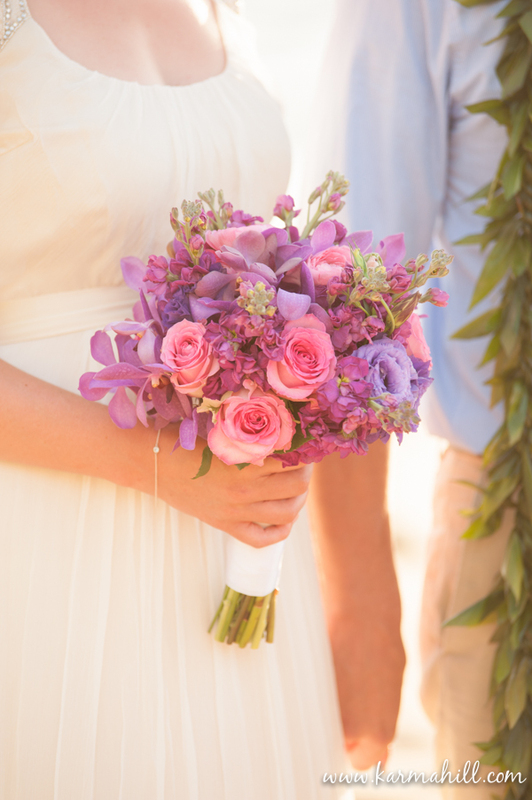 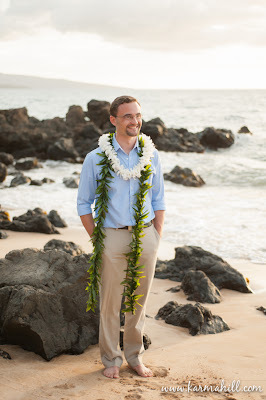 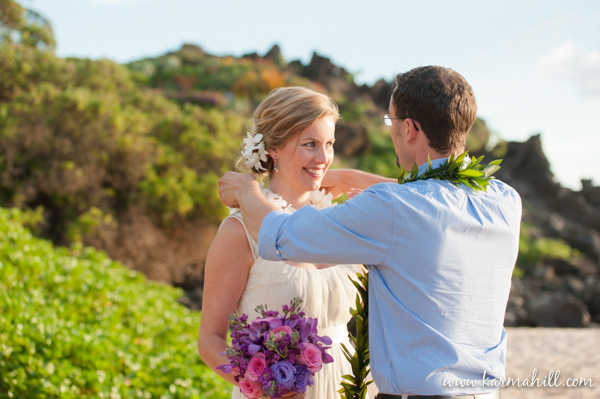 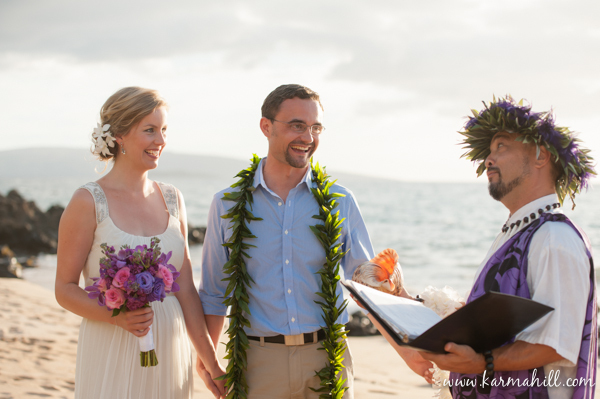 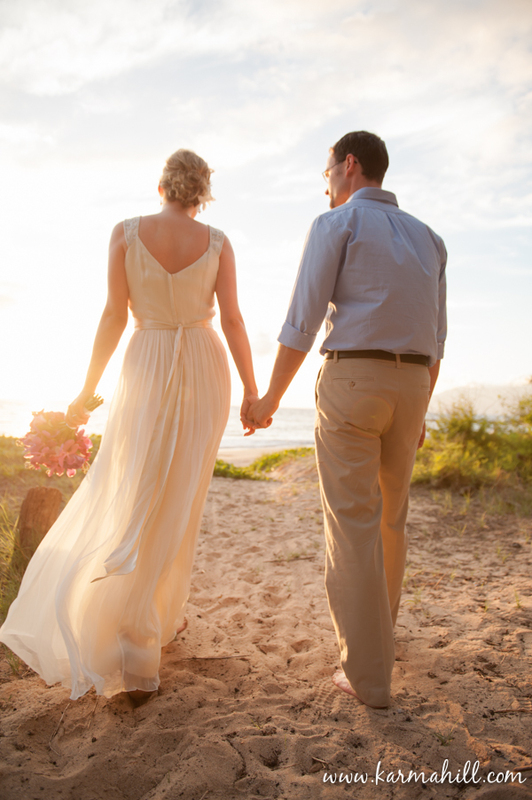 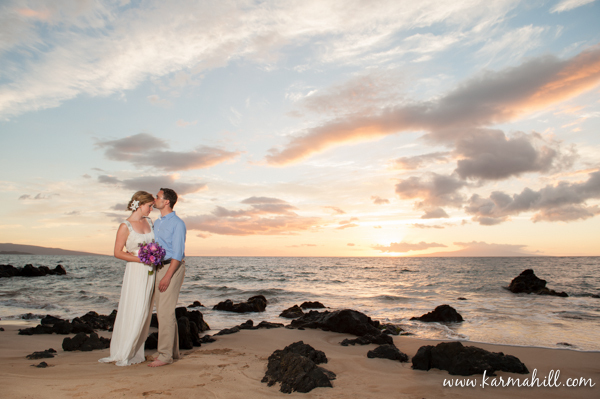 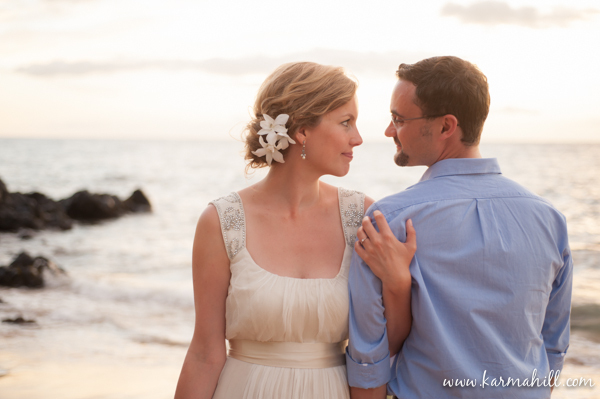 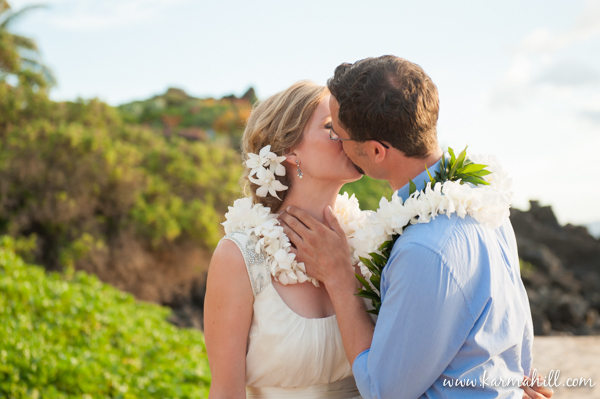 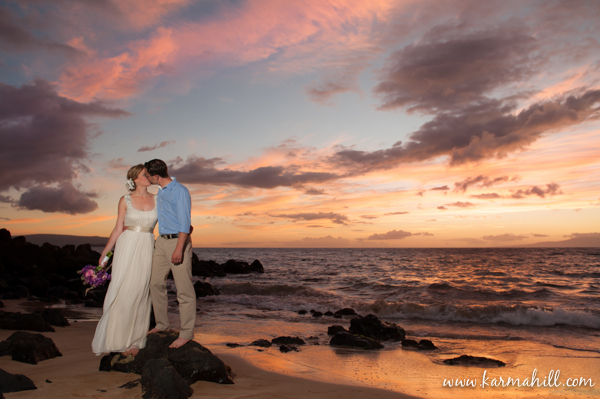 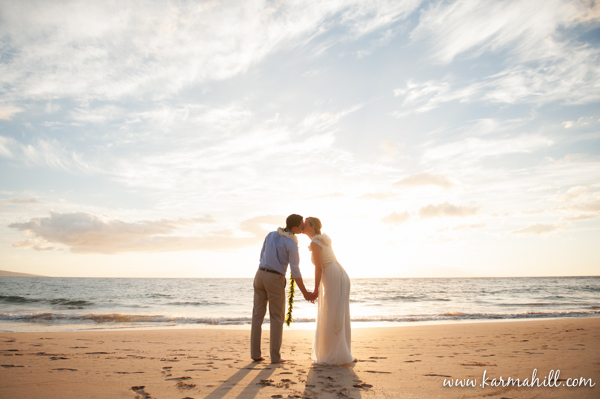 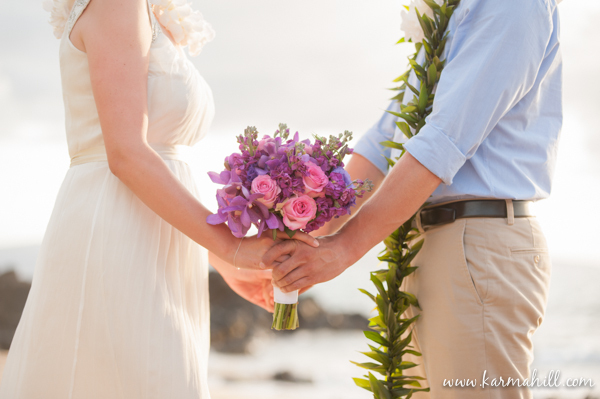 We are so happy that we could be a part of this adorable couple's special Maui Wedding day!